Tobacco use is the leading cause of preventable disease, disability and death in the United States. Every year, nearly half a million Americans die prematurely of smoking or exposure to secondhand smoke. Another 16 million live with a serious illness caused by smoking. Franklin County Public Health is working with our jurisdictions on tobacco use prevention, community awareness of tobacco prevention and expanding tobacco cessation services. Current initiatives include a new cessation referral network, preventing youth tobacco use initiation and preventing exposure to secondhand smoke. The Ohio Tobacco Quit Line provides personal quit coaching and telephone counseling free of charge to all Franklin County residents. Nicotine patches, gum or lozenges are provided for up to four weeks at no charge to all Franklin County residents. Non Franklin County residents may call 1-800-QUIT-NOW (1-800-784-8669) to discuss assistance that can be offered. Employees and covered family members of companies and health plan organizations that are members of the Ohio Tobacco Collaborative are eligible to participate in the Ohio Tobacco Quit Line. More than 5.4 million Ohioans have access to the Ohio Quit Line through the Ohio Tobacco Collaborative. Smokefree TXT - This free 24/7 texting program sends encouragement, advice, and tips to help smokers quit smoking for good. To get started, just text QUIT to 47848, answer a few questions, and you'll start receiving messages. 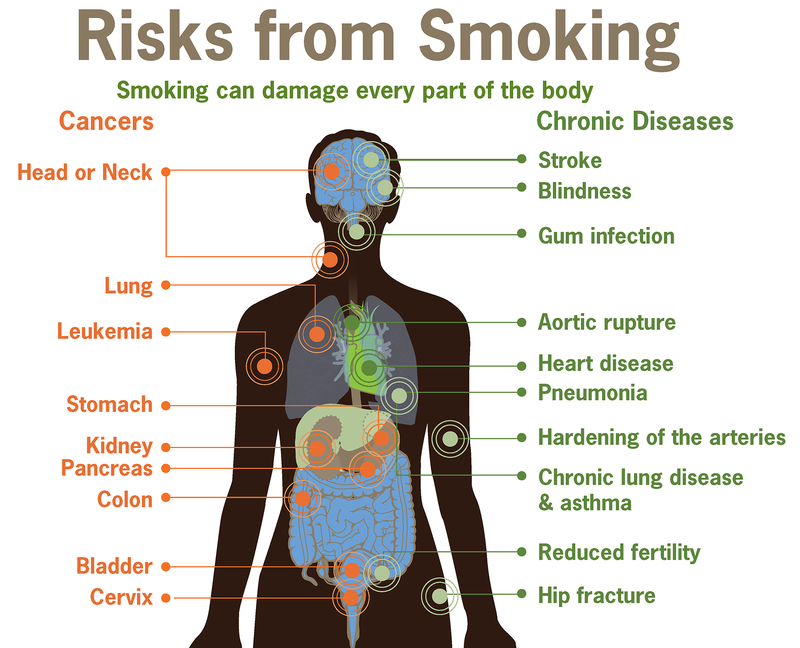 Smoking harms nearly every organ of the body, causing many diseases and affecting the health of smokers and non-smokers. For every person who dies because of smoking, at least 30 people live with a serious smoking-related illness. 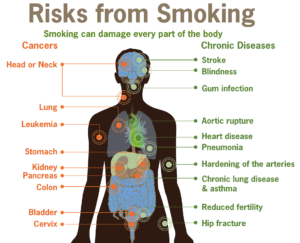 Smoking causes cancer, heart disease, stroke, lung diseases, diabetes, and chronic obstructive pulmonary disease (COPD), which includes emphysema and chronic bronchitis. Smoking also increases risk for tuberculosis, certain eye diseases, and problems of the immune system, including rheumatoid arthritis. Tissue damage in the unborn baby (particularly in the baby’s lungs and brain). Possible link between maternal smoking and development of cleft lip for the baby. Possible relationship between tobacco use and miscarriage. Carbon monoxide in tobacco smoke can keep the developing baby from getting enough oxygen. Tobacco smoke also contains chemicals that can harm unborn babies. CelebrateOne carries out the Greater Columbus Infant Mortality Task Force's recommendations to reduce Franklin County's infant mortality rate by 40 percent and cut the racial health disparity gap in half by 2020. Click here for more information about CelebrateOne. Premature delivery. Premature delivery is a leading cause of death, disability and disease among newborns. One in every five babies born to mothers who smoke during pregnancy has low birth weight. Mothers who are exposed to secondhand smoke during pregnancy are more likely to have lower birth weight babies. Babies of mothers who smoke during pregnancy and those exposed to secondhand smoke after birth after more likely to die from sudden infant death syndrome (SIDS). Babies whose mothers smoke are about three times more likely to die from SIDS. Babies whose mothers smoke during pregnancy or those exposed to secondhand smoke after birth have weaker lungs than other babies, which increases the risk for many health problems. Secondhand smoke exposure contributes to approximately 41,000 deaths among nonsmoking adults and 400 deaths in infants each year. Secondhand smoke causes stroke, lung cancer and coronary heart disease in adults. Children who are exposed to secondhand smoke are at an increased risk of sudden infant death syndrome (SIDS), acute and other respiratory infections, middle ear disease, more severe asthma and slowed lung growth. Youth use of tobacco in any form is unsafe. Preventing tobacco use among youth is critical to ending the tobacco epidemic in the United States. Tobacco use is started primarily during adolescence. Nearly 9 out of 10 cigarette smokers first tried smoking by age 18 and 99% first tried smoking by age 26. Cigarette smoking has declined among U.S. youth in recent years but the use of some other tobacco products has increased. Electronic cigarette use increased among middle and high school students from 2011 to 2015 as well as hookahs and smokeless tobacco use. Youth who use multiple products are at a higher risk of developing nicotine dependence and might be more likely to continue using tobacco into adulthood. In Franklin County, a group of teenagers are taking a stand against tobacco in our community. Youth to Youth International was founded in Columbus in 1982 as a part of the drug and alcohol abuse prevention and treatment organization CompDrug. Their mission is to engage young people through meaningful discussions, activities and experiences to develop and implement their own ideas to create positive change. To learn more about Youth to Youth International and their local initiatives, click here. Can lead to nicotine addiction. Causes cancer of the mouth, esophagus and pancreas. Associated with diseases of the mouth. Can increase risks for early delivery and still birth when used during pregnancy. Can cause nicotine poisoning in children. May increase the risk for death from heart disease and stroke. The large majority of smokers start smoking before age 21. According to the National Survey on Drug Use and Health, over 80% of adult smokers have their first cigarette before they turned 18 and nearly 95% started before age 21. Raising the minimum legal sale age to 21, along with proven tobacco control strategies, could prevent youth tobacco use. To help combat young adults from using tobacco, Franklin County Public Health has partnered with some of jurisdictions to enact a Tobacco 21 law that protects youth from tobacco use. Bexley, Dublin, Grandview Heights, New Albany and Upper Arlington have already enacted a Tobacco 21 law meaning the minimum age to purchase tobacco products in those jurisdictions is 21. To read the Tobacco 21 Model Policy, click here. Those jurisdictions interested in enacting a Tobacco 21 law should contact Jennie McAdams, FCPH Health Promotion and Community Engagement Supervisor at (614) 525-3746 or jenniemcadams@franklincountyohio.gov. The dangers of exposure to secondhand smoke are real. About 58 million nonsmokers in the U.S. are exposed to secondhand smoke – some in their own homes. More than one in three nonsmokers who live in rental housing are exposed to secondhand smoke and many who live in public housing are particularly vulnerable to the effects of secondhand smoke, including children, the elderly and people with disabilities. Implement a household rule that prohibits anyone from smoking tobacco products inside your home at any time. Support your family and neighbors who might need help to quit smoking. Talk with community leaders about ways to make units and indoor common areas in multi-unit housing smoke-free. In Ohio, 71 apartment buildings have adopted a smoke-free policy to protect non-smoking residents from secondhand smoke. If you want help going smoke-free at your apartment building, contact the Ohio Department of Health at sfhousing@odh.ohio.govor (614) 728-2429. On April 17, 2017 some residents of Bending Brook Apartments in Grove City, Ohio attended an initial meeting for the implementation of a property-wide smoke-free policy. Bending Brook is a U.S. Housing and Urban Development (HUD) community. Franklin County Public Health is partnering with the complex management company to provide multi-unit smoke-free housing resources and support. This policy is effective July 2017.To learn more about successful multi-unit smoke-free housing, click here. 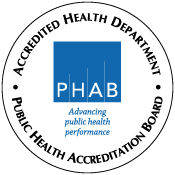 View the list of all Community Environmental Health inspectors, their contact information and the areas they serve.